Throwback Thursday – from our Archives: In this workshop we use pre-cut 5″ squares and 2 ½” strip rolls but you could raid your scrap/ stash. plus border fabric.- 1m will be sufficient. Quilt will be set 5 squares across x 7 rows down. 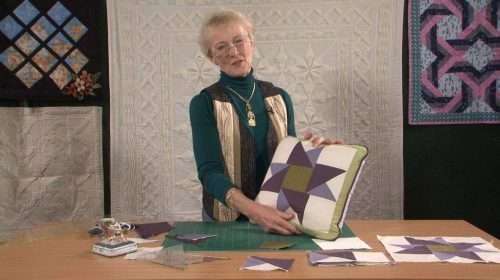 TIP: If your measurement is larger then your seam allowance is a little small and if the measurement is smaller then your seam allowance is a little large BUT IT DOESN’T MATTER – just be consistant. 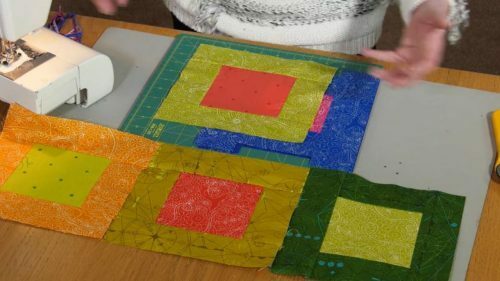 From the strips you need to cut 70 rectangles at this measurement – again use as many of the fabrics as possible- so suggest you could cut 2 rectangles from each of your selected strips. 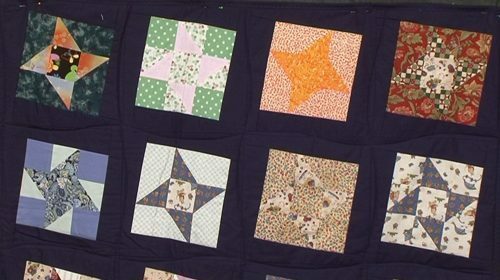 Again audition against the squares and sew into place to give a square. 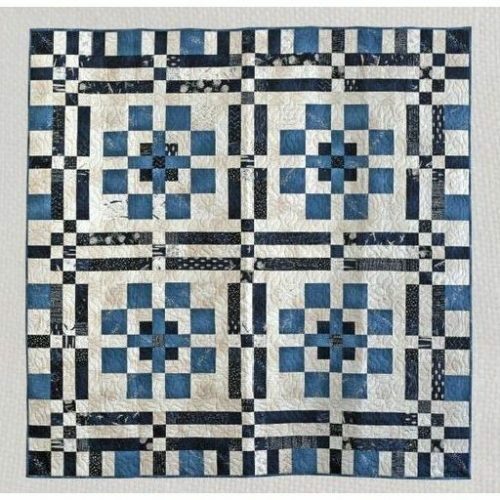 Arrange the completed squares in a pleasing sequence 5 across x 7 down – if you turn the alternate squares you will avoid having seams in the middle of the block to match and avoid having a strong horizontal line in your quilt. 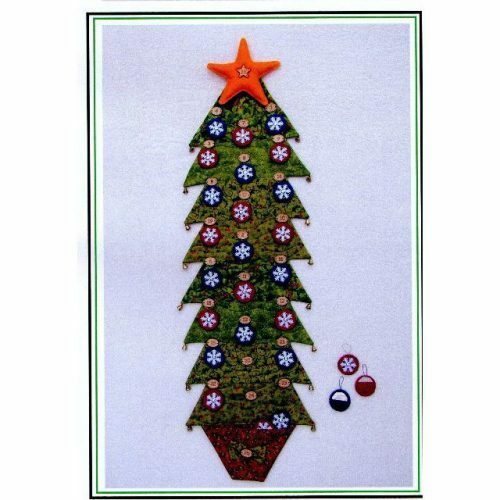 Add a border (if you want) – anything up to 6” will work. Layer quilt and bind –all the leftover strips plus a bit of calico were used up in the binding. 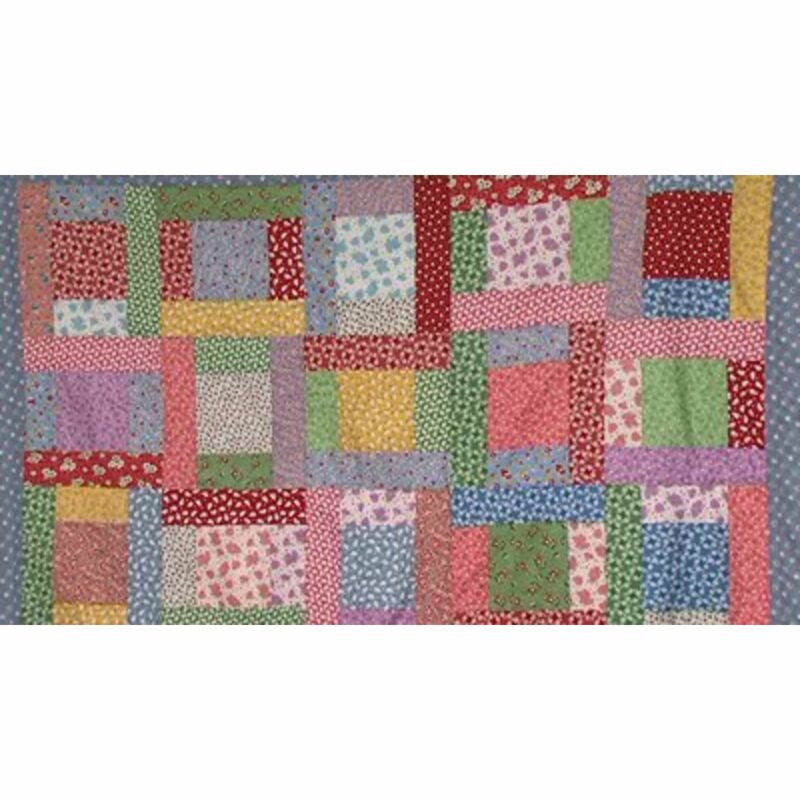 How to make the smaller red/white/blue quilt that uses 20 squares click here for pdf workshop notes. 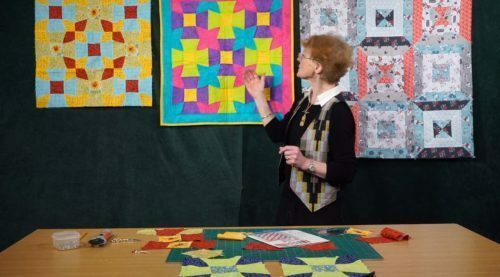 This is a really simple pattern that is absolutely brilliant for beginners and for using the pre-cuts – 5″ squares and 2 ½” strips (jelly rolls and/or strip rolls are great). You can of course raid your fabric stash too and you can think about a completely randomn scrap look or a more co-ordinated colour theme. 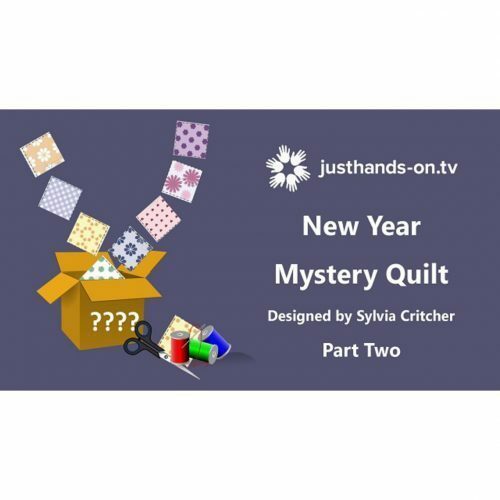 Our friends at Creative Quilting have put together two kits – one with 1930’s style fabrics (so similar to the quilt that is hanging in the background) and another in red/white/blue -so similar to the one Valerie works on. These are available for you to purchase from us as a kit in the shop – details to the right of this workshop. 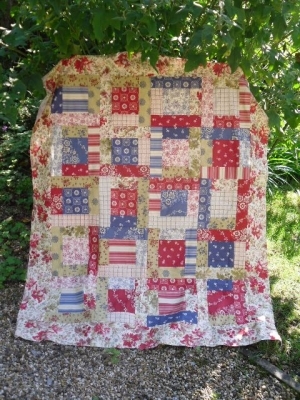 More workshop notes on how to make this smaller red/white/blue quilt can now be found up in the workshop notes section.